Ihar Boki broke two world records again on the second day (8 June) of competition at the final World Para Swimming World Series in Berlin, Germany. 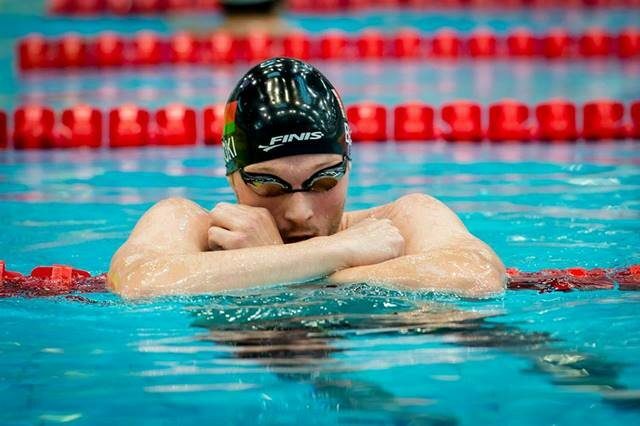 Belarus´ S13 swimmer first set a new mark of 26.36 in the heats of the men´s 50m backstroke, before going on to break the world record again in the final with a time of 26.21. Despite his achievements, Belarus´ most decorated Paralympian ever remains hungry for more. “I have to compete again here in Berlin, so I want to focus now on my next races. I am happy but want to continue improving,” he said. The World Series features multi-class races, with winners decided by a standardised points system. Boki also scored 1,002 points in the 50m backstroke to secure gold ahead of Great Britain´s Stephen Clegg (883) and Mexico´s Diego Diaz (842). 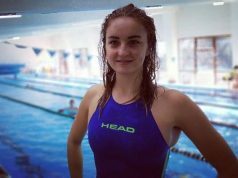 Three-time Paralympic champion McKenzie Coan delivered a glittering performance in the women´s 800m freestyle, breaking a seven-year old world record for the S7 class with a time of 10:37.70. The USA´s swimmer also took gold in the competition after scoring 896 points. She was followed by Spain´s Ariadna Edo (758) and Sweden´s Pernilla Lindberg (691). Two world records were set in the men´s 800m freestyle; Uzbekistan´s Dmitriy Horlin clocked 8:38.56 to lower the record in the S12 class, while Japan´s Uchu Tomita (S11) set a time of 9:36.61. However, it was not enough for them to win gold in the event as Argentina´s Facundo Arregui (897 points) topped the podium. Horlin (847) ended second and Spain´s Antoni Ponce (827) took third. Rio 2016 two-time gold medallist Liesette Bruinsma was another standout of the day, as she set a new world record of 1:05.81 for the S11 class in the women´s 100m freestyle. “This is so wonderful, I cannot believe it. I trained very hard to achieve this in Berlin,” she said. The Dutch swimmer also took gold in the event after scoring 1,065 points ahead of Italy´s Carlotta Gilli (891) and Canada´s Aurelie Rivard (890). Great Britain´s Hannah Russell (S12) was exultant after breaking the world record in the women´s 50m backstroke with a time of 31.61. “I am really happy. I really wanted to go to that swim,” she assured. Russell (921 points) also claimed gold ahead of Canada´s Shelby Newkirk (869), who set a world record of 38.00 for the S7 class. Japan´s Chikako Ono (818) secured bronze. Coan won her second gold medal of the day as part of the US women´s 4x100m freestyle team. She joined forces with 14-year-old Madelyn White, Summer Schmit and Jessica Long to lead her country to victory with 635 points. They finished ahead of the Kazakhstan (473) and Germany (236). In the men´s equivalent, Kazakhstan (626) came in first. Poland (588) and Iran (565) collected silver and bronze, respectively. The men´s and women´s 150m individual medley were the last two events of the day. Japan´s Takayuki Suzuki (792) took gold in the former ahead of Israel´s Ami Omer Dadaon (767) and Ukraine´s Dmytro Vynohradets (610). Germany´s Gina Bottcher was the winner among women with 626 points. She was followed into the podium by Spain´s Ines Rodriguez Martinez (425) and Iceland´s Sonja Sigurdardottir (259). Competition continues on Saturday (9 June) with 30 medals up for grabs. The scores for the overall rankings are calculated by adding up the swimmer´s two best point scores achieved in two different World Series events.